Enter off of Garden St. PROGRAM: Skywarn Training starting at 6 PM. Camper setup starting Friday afternoon. Park on the North side. is on the South side. Allow room for parking and antenna tower parking. 224.120 MHz Tone 107.2 Hz. Hurricane season runs from June 1 to November 30 of each year. 4th Tuesday of each month at 1900 local time. 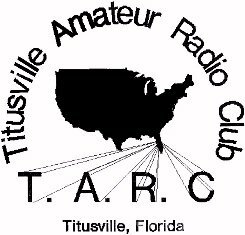 of each month at the Titusville Masonic Lodge. Marked Courses are requested by Served Agencies. There is no cost to take them. The above course is a replacement for the previous 3 levels of coursework. The FEMA courses are now required for hams responding to disasters outside their local community (and everyone should take ICS-100). They are Internet Correspondence Courses that can be taken at home, with on-line testing. They are free, and FEMA issues a Certificate that you can download and print following the successful completion of the exam. FCC Exams are held anytime convenient to both the applicant and the volunteer examiners. For information on exams, and directions contact: Sherry Ferguson - KU4ZO at 321-543-8487. 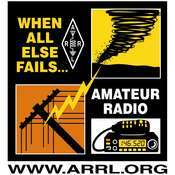 You should probably study up or at least (for Ham Radio) take the practice exams online (and perhaps more practice exams and even another) before then. For Commercial Exams you might like to visit the following site. W5YI before testing. The BEARS-Den, a Yahoo group of EmComm oriented hams in Brevard County.